Nick Dworet with girlfriend Daria. 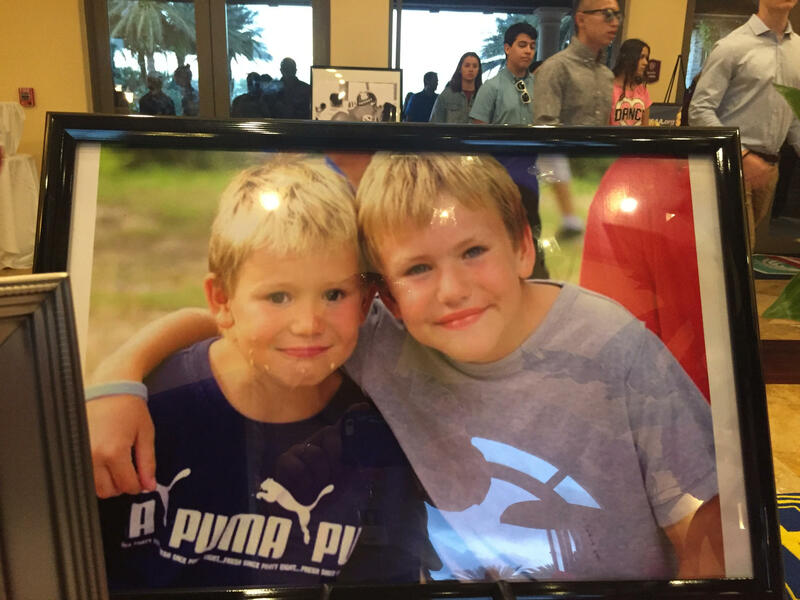 Hundreds of people gathered in Parkland Wednesday to remember 17-year-old Nick Dworet. He was one of the 17 people killed by a shooter at Marjory Stoneman Douglas High School on Valentine’s Day. Nick loved music. 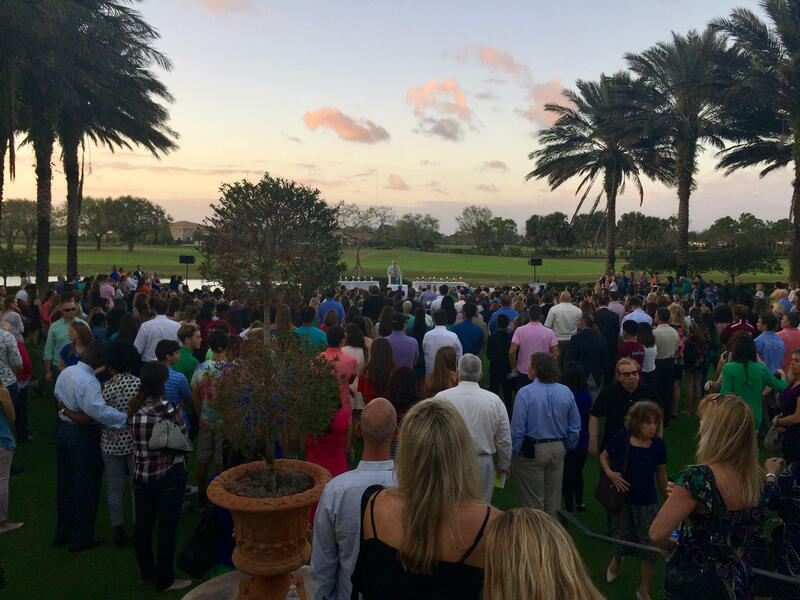 It played Wednesday at Parkland Country Club as friends, family and coaches took turns remembering him. A childhood photo of Nick and his younger brother, Alex. The handsome teenager who loved Oreos. The joyful nephew. The champion swimmer. The hopeless romantic. Nick spent weeks crafting the perfect Valentine’s gift for his longtime girlfriend, Daria. She said he was the perfect man who loved her unconditionally. On the morning of Valentine’s Day, Nick was excited to talk with a fellow classmate and athlete. They’d been friends since kindergarten. Nick had just inked a swimming scholarship to the University of Indianapolis. His classmate would be joining the gymnastics team at the University of Iowa. Friends and family pay tribute to Nicholas Dworet at Parkland Country Club on Feb. 21, 2018. A group of elementary school students opened Broward County’s first school board meeting since last week’s Marjory Stoneman Douglas High School shooting by reciting the pledge of allegiance and singing the national anthem. The kids were in their classroom at Griffin Elementary School in Cooper City, but they appeared via livestream video. They weren’t there to see how their performance was received, how poignant it seemed, as their community mourned 14 other children and three staff members who were slaughtered in the Valentine’s Day mass shooting. Students around South Florida participated in classroom walkouts one week after the mass school shooting at Marjory Stoneman Douglas High in Parkland, Fl. The walkouts were to begin at noon and last 17 minutes, one minute for each life lost in last week's shooting. Organizers called them an act of compassion for the lives lost and to make a statement about the need for gun law reform.